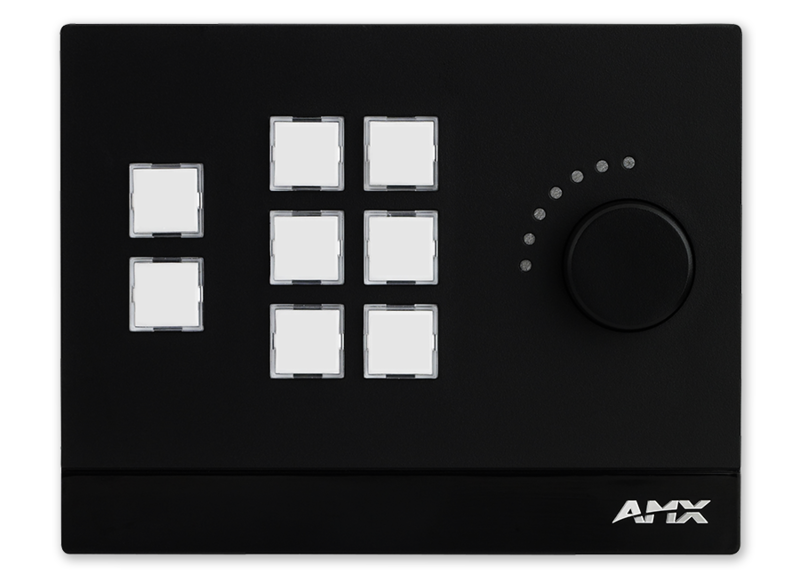 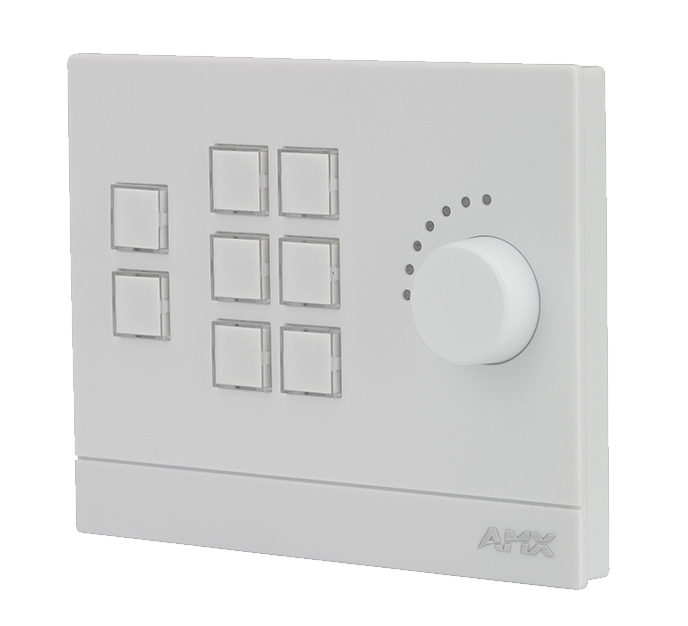 The MCP-108 / 8-Button Massio™ ControlPad with Knob combines AMX control and a stylish keypad into a single unit that can be mounted in a standard 2 gang US, UK or EU back box to provide dedicated room control. 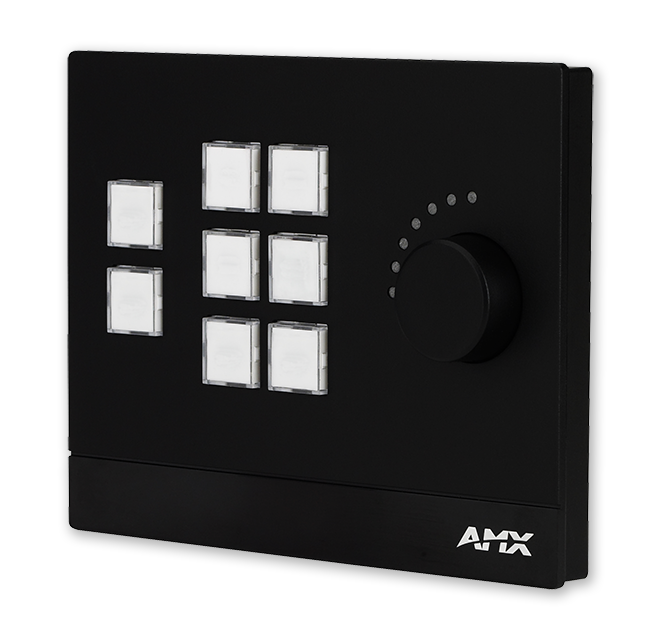 Massio ControlPads provide high performance, intuitive usability and modern styling, and are simple to configure using AMX's Rapid Project Maker or custom programmed using NetLinx Studio software. 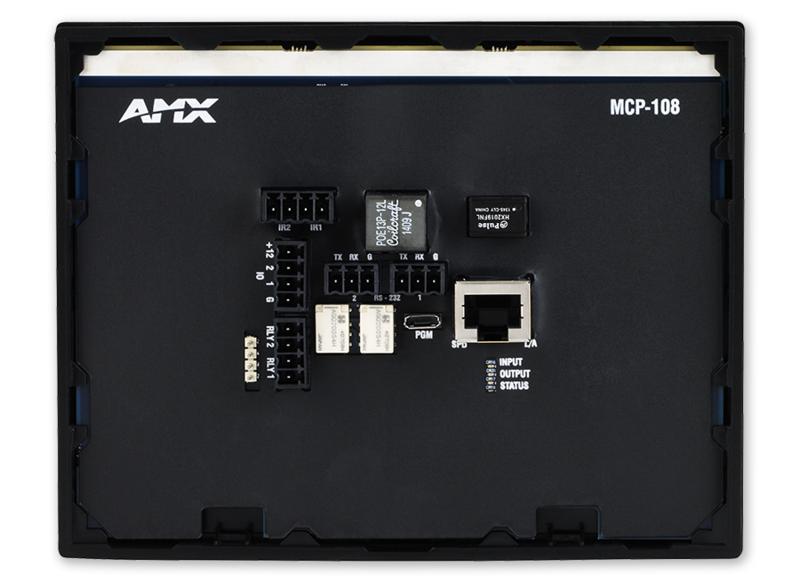 The MCP-108 shares its controller technology with AMX's flagship NX-series, enabling it to provide the latest networking and security features, along with outstanding processing power. The MCP-108's security features and secure wall-mount options make it ideal for Higher Education breakout rooms and small classrooms. 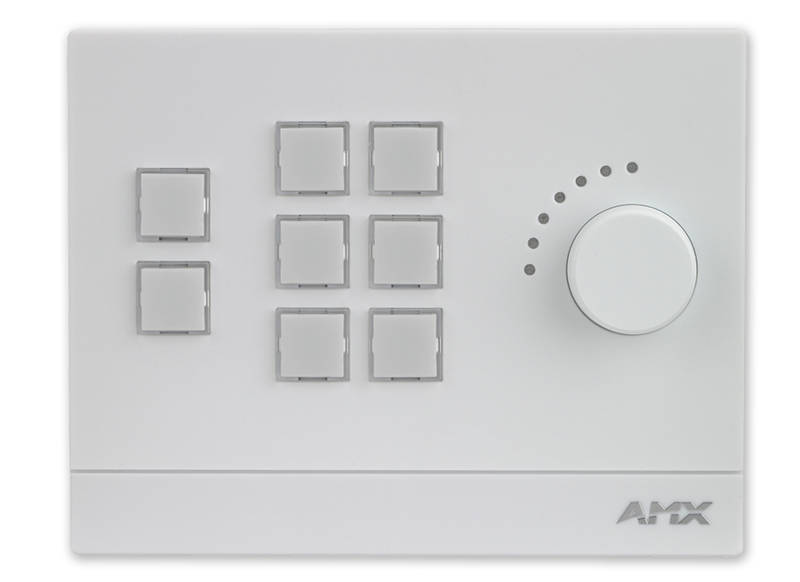 The MCP-108's rugged design and attractive price point also make it perfect for K-12 (Primary Education) classrooms.